"Portrait of an Idealist" is a very special project. It is a homage to Nick Dmitriev, the man who put together Moscow Composers Orchestra at a very troubled time in the history of Russia - the years following "perestroika." It is partly based on the poetry of the great Russian poet Daniil Kharms, and partly on Sainkho's poetry. 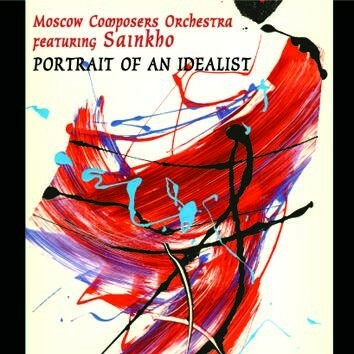 What Sainkho tried to do was to preserve in music the spirit of perestroika, spirit of changes, the general mood and atmosphere of those years. Musicians of the Orchestra raised for the occasion and brilliantly transformed that atmosphere into the sound.